Have you accidentally deleted a file from your PC or your hard drive has been infected by a malware infection which has caused your system to crash losing your music or video collection? It can be very frustrating if you do not know what to do. The good news is that you can recover the lost data if you do not try to recover it before you know the dos and don’ts in such a situation. All the deleted files are stored in the recycle bin. There are several methods that you can use to safely and quickly get back all your lost files in your computer so that they can be useful again. You can choose to use the best free image recovery software that will help you easily and quickly salvage your data without the fear of losing any of it in the process. Part 1: Why Do You Need Image Recovery Software? Free image recovery software is cost effective and saves you a lot of time. The recovery software is easy to use and simple which will help you to quickly recover your lost or deleted data. However, some of the deleted or damaged data cannot be recovered so you need to know what types of files the image recovery software can recover. If the free image recovery software has a trusted website you will receive all the help and support you need in case you have any questions or need any assistance. You also get detailed information about the software before you use it. 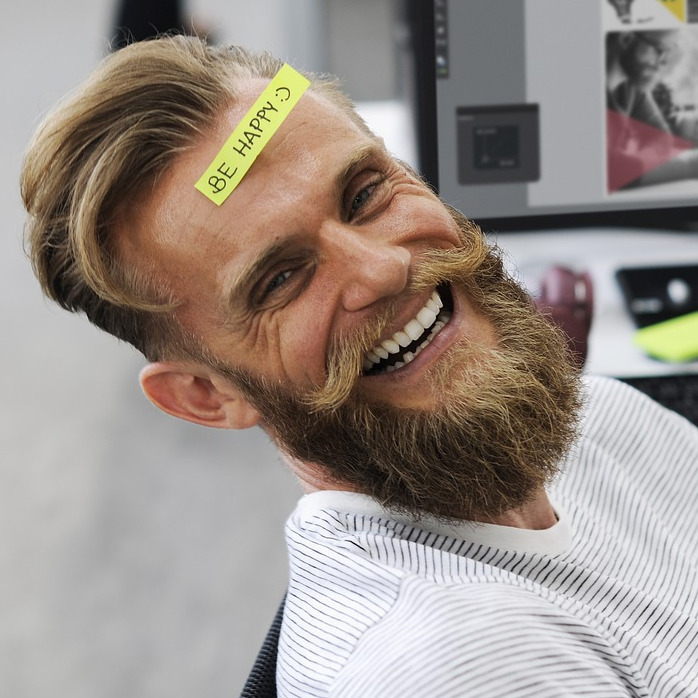 Instead of taking hiring the services of an expert every time your device has problems with the operating system or has a virus infection, you can invest in the best image recovery software that you only need to purchase once. 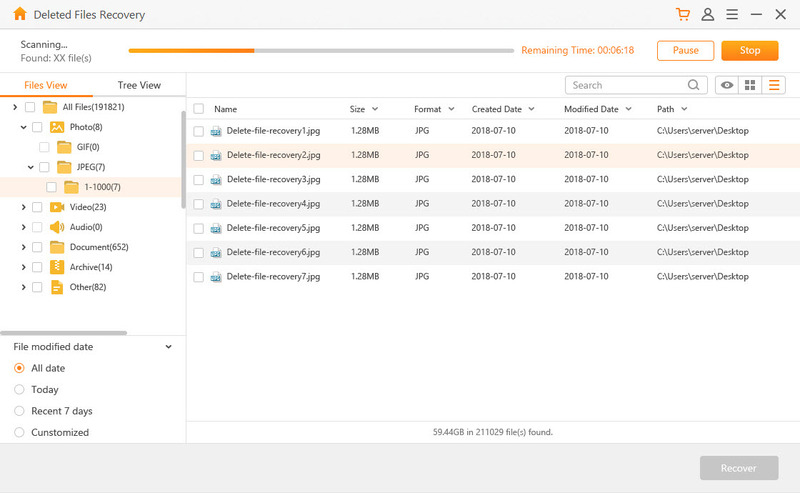 AnyRecover is data recovery software that will help you to easily get back more than 1000 files from your device storage that were deleted, corrupted or formatted. 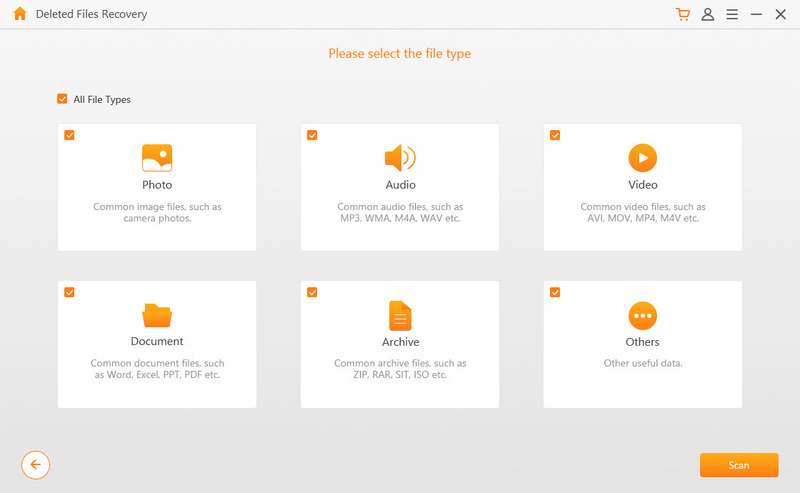 You can recover your photos, videos, emails, audios, documents etc. You can use it to easily and quickly get back all your lost data from your device’s storage. You can use this software to recover more than 1000 types of files from your device. This software can get back data from a laptop or PC, USB flash drive, external hard drive, digital camera, SD card, music or video player etc. 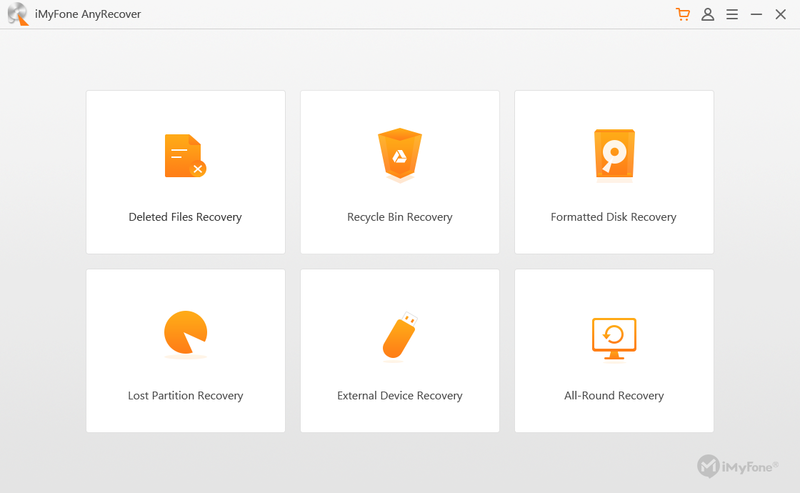 You can use it to recover deleted, corrupted, lost, formatted, etc. data from your device. Step 1: Download and run AnyRecover then different files will appear on the interface. Individually select Graphics. Step 2: Select the file then choose the location from which your photos were lost which will save time and help to scan to be precise. Step 3: Then select file type - photo in this case and click on "Scan" to start the scanning process. Step 5: If the scanning process is completed, paused or stopped, the scanned results will be displayed in the middle of the window. Preview the data before recovery then select the data you want and click Recover. Your hard drive may crash or you may accidentally empty your recycle bin or permanently delete files on your PC or device. Here are some tips that will help you increase your chances of recovering your deleted images. Avoid using your computer to prevent increasing the risk of permanent loss of your deleted or lost photos. Do not restart, reboot or shut down your computer once you accidentally delete or lose files on your computer. If you turn your computer off and on again, it will read and write your system disk which might permanently lose your files. To be on the safe side, you can pull out the hard drive and put it in a FireWire hard drive enclosure. Do not save any data on a disk or device that you lost deleted photos. If a disk has been formatted or files deleted, writing it will reduce the chances of recovering the deleted data. This action make it harder for the recovery process to be successful as the disk gets further damaged and some of the portions are unreadable. Do not use untrusted free image recovery software. Make sure the recovery software you use is professional, safe and from an official website. If you download from unreliable websites, you run the risk of infecting your device with a virus or spyware. Try using the free demo version of the software to find out if it performs effectively in solving your recovery issue. Always remember to back up your data as often as you can either on iTunes, iCloud, or another hard drive so that it will be easier when you need to recover lost data on your device. This will come in handy if you lose any data and need to recover it immediately. 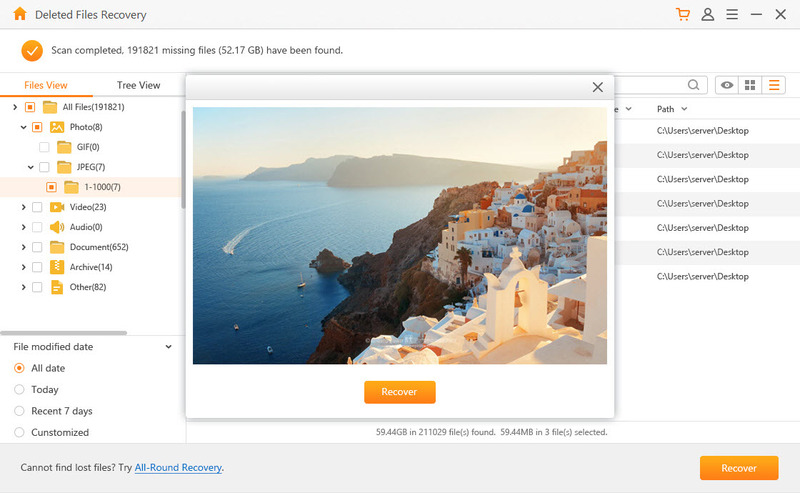 Whether you accidentally delete a file or your computer crashed or your disk got formatted, you can get back the data if you use the right free image recovery software. Choose the best free recovery software available in the market that has an officially trusted website and one that will give you the desired results you are looking for. If the software has a free demo version, try it first to see if it will work in recovering your lost data effectively. However, you need to realize that not all data can be recovered. The data might be too corrupted to the point where the free image recovery software does not have the capacity to retrieve it. In this case, you will need a professional to help you.